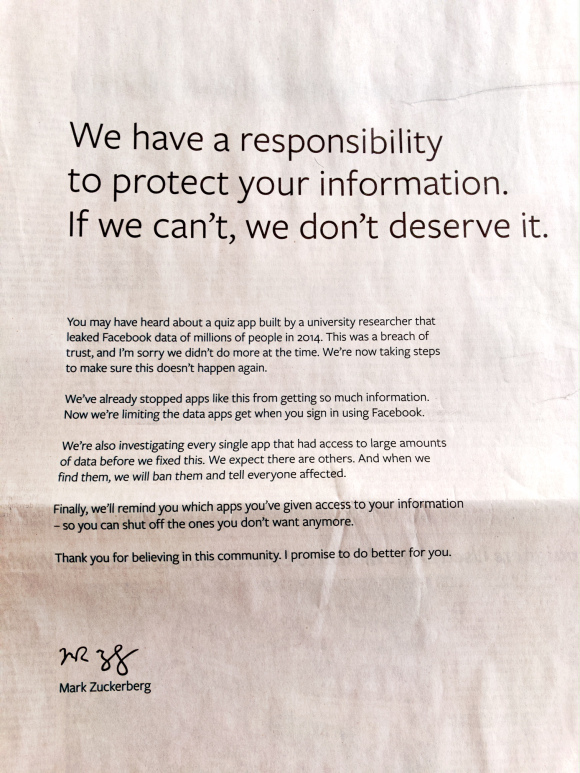 Everything a mea culpa ad should have, except for one thing: the magic words “I’m sorry.” Zuckerberg does say “…I’m sorry we didn’t do more at the time.” That’s some lawyered-up fluff. Anytime you hear someone in the public eye say something with the words “at that time” that’s a lawyer talking. “I’m sorry.” needs to be its own sentence, without qualifiers and without hedges.